AWS support was introduced in Octopus 4.3. 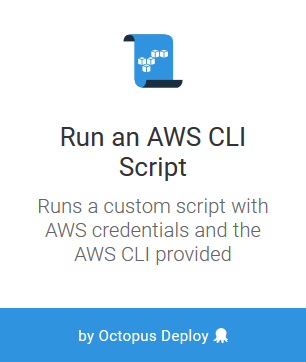 Octopus allows you to write custom PowerShell scripts that have access to the AWS CLI and the AWS PowerShell modules via the Run an AWS CLI Script step. In addition, the script is run in an environment that handles authentication by creating the AWS_ACCESS_KEY_ID, AWS_SECRET_ACCESS_KEY, AWS_DEFAULT_REGION environment variables based on the AWS account that was selected for the step. The proceeding instructions can be followed to configure the Run an AWS CLI Script step. 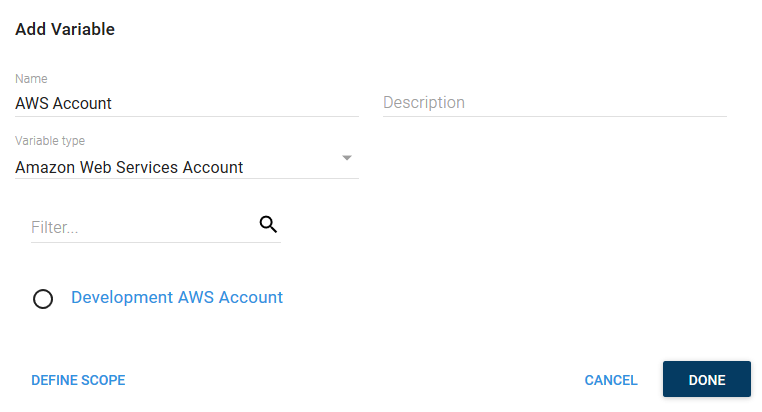 The instructions at Creating an AWS Account detail the procedure for creating an account in Octopus. PowerShell scripts run by the Run an AWS CLI Script step have access to the AWS CLI executable aws.exe on the path, as well as having the AWS PowerShell modules imported. In addition the environment variables AWS_ACCESS_KEY_ID, AWS_SECRET_ACCESS_KEY, AWS_DEFAULT_REGION are configured. 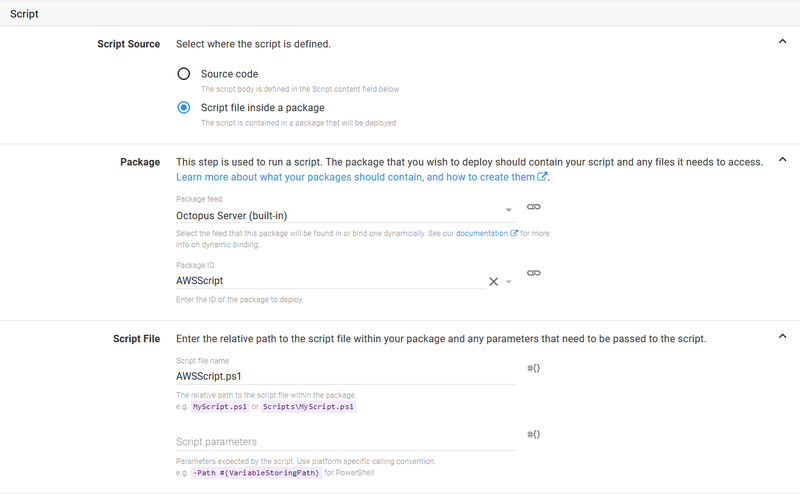 The AWS_SESSION_TOKEN environment variable is also configured if the script was run against an assumed role, or if the AWS service role for the EC2 instance running the script (i.e. the Octopus Server) was used. # This will write out information on the Get-AWSPowerShellVersion CmdLet. Write-Host "Get caller identity with the AWS CLI"
Write-Host "Get the version of the Powershell module"
Write-Host "Get caller identity using the AWS PowerShell modules"
Scripts can be run from two different locations: source code added to the step, or a script from a package. The first option is to add the script source code to the step directly. This is done by selecting the Source code option, and entering the source code into the text box in the Script Content section. The second option is to run a script from a package. This is done by selecting the Script file inside a package option, selecting the package, and entering the name of the file within the package to run as a PowerShell script.